Akio Takamori (1950-2017) was born and raised in Japan. Takamori apprenticed with a master folk potter in Kyushu and met American ceramist Ken Ferguson, who encouraged Takamori go to the United States and study with him at the Kansas City Art Institute. 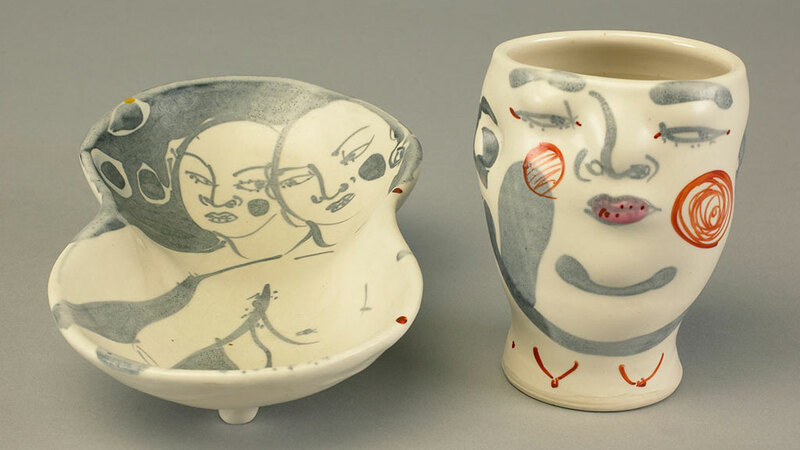 In 1974, Takamori moved to the United States and received his BFA from the Kansas City Art Institute and his MFA from the New York State College of Ceramics, Alfred University. 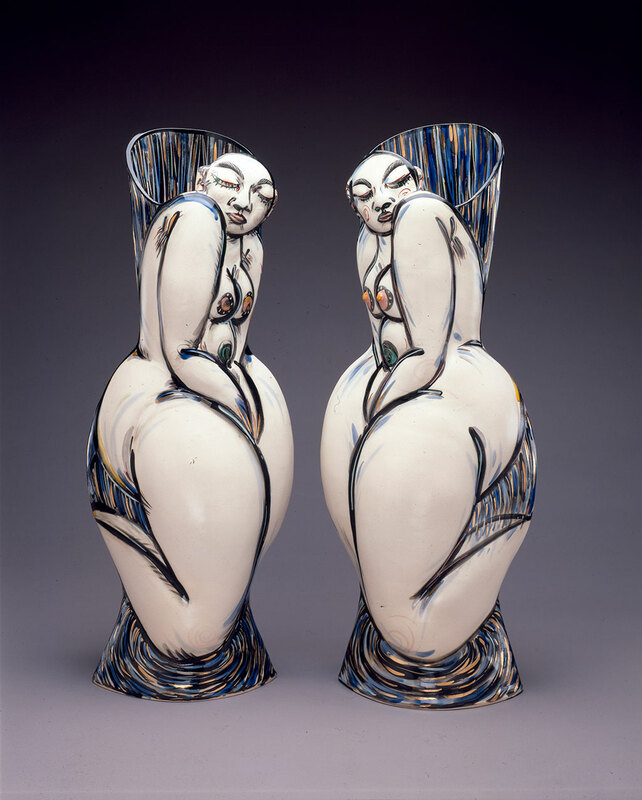 After working as a resident artist at Archie Bray Foundation, Takamori moved to Seattle, Washington where he was a professor at the ceramics department. 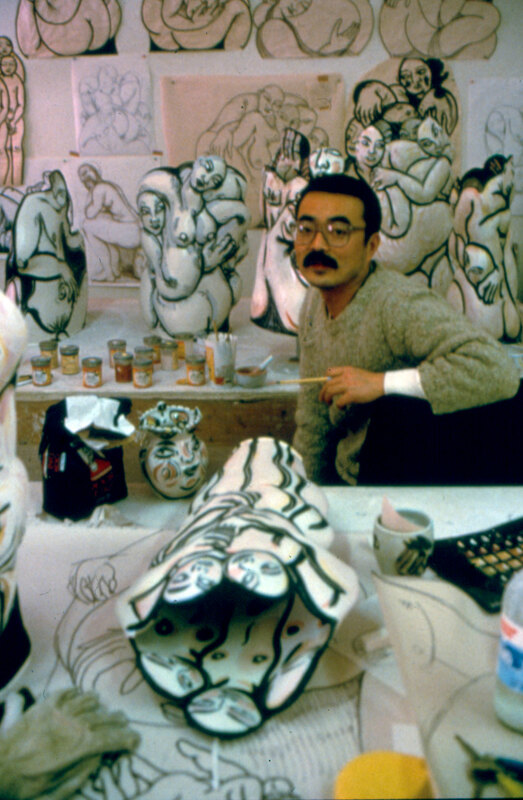 Takamori is known for his painted figures on sculptural ceramic vessel forms. Most of his work is influenced by his Japanese heritage. Takamori’s work is included in numerous collections including the Nelson-Atkins Museum of Art in Kansas City, Los Angels County Museum of Art, Victoria & Albert Museum in London, Ariana Museum in Geneva, the Seattle Art Museum, and the Museum of Arts and Design in New York City. He is the recipient of numerous awards, including three National Endowment for the Arts Visual Artists Fellowship Grants (1986, 1988, 1992), the Joan Mitchell Foundation Painters and Sculptors Grant (2006), and the USA Ford Fellowship (2011).